24 Hours in the UK: amazing moments every hour of the day! Designed to highlight the round-the-clock appeal of the United Kingdom, 24 Hours in the UK was a dynamic multi-destination campaign involving ten bloggers and social media influencers from the iambassador network. Trips were held in all corners of the UK in summer/fall 2017 and the campaign’s content was published in January 2018. 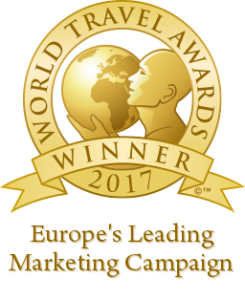 A team of British and international iambassador influencers were selected for their reach in relevant target markets and video capabilities. Visit Britain and iambassador worked closely together to execute the trips, the content creation and a very impactful launch that stretched over 24 hours. The influencers filmed their experiences across England, Scotland, Wales and Northern Ireland. These scenes were then edited to create 32 videos that were released during a 24-hour Facebook campaign. Timed to coincide with so-called “Blue Monday”, supposedly the gloomiest day of the year, 24 Hours in the UK saw the release of hourly videos on the Visit Britain Facebook page throughout 15th January 2018, one hour at a time for a whole day. The aim was to invite both visitors and locals to discover the “mind-boosting” activities available in the UK. The influencers partnered with VisitBritain and partners to share the videos via their social media channels and drive engagement. After the 24-hour campaign, fans were asked to vote for their favourite experiences. Voting videos were released asking fans to choose between two experiences at a time. The voting videos performed very well: the five voting videos received more than 150,000 views. The campaign, with its hashtag #LoveGreatBritain, generated Opportunities-To-See (impressions) of 119.4 million between 14th January – 12th February 2018. The campaign reached approximately 3 million people and drew 29,000+ engagements. This social media activity created an online AVE exceeding GBP 1.4 million (source: Brandseye.com). The influencers published a total of 24 blog posts in English, French, Dutch, Portuguese (Brazilian) and German. In addition to blog posts about their experiences, blog posts were also published to support the campaign launch and feature the videos. These blog posts have so far generated more than 35,000 page views. 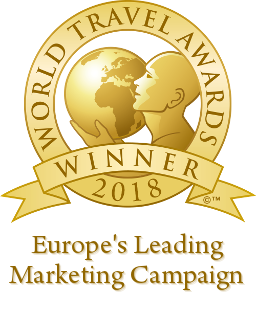 On 30th June 2018, the ’24 Hours in the UK’ campaign won the World Travel Award in the category: Europe’s Leading Marketing Campaign 2018. This win is iambassador’s second in as many years. 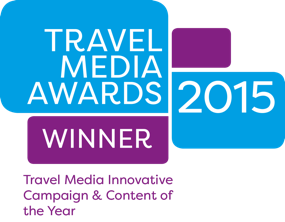 Read more about this World Travel Awards win.